Never let it be said analysts are afraid to voice changes in their opinions of Roku (NASDAQ:ROKU). Just within the past week, Roku stock has been upgraded twice, and downgraded twice, with each change pushing the stock around. No big deal. That’s what changes in analysts’ ratings do. Take all the upgrades and downgrades with a grain of salt though. They’re always interesting and usually insightful. More than anything though, the updated analyst stances are irrelevant. This remains a story stock, even if the pros are treating it conventionally. It’s the rhetoric, and relative growth, in the driver’s seat right now. Ignore that reality at your own peril. It’s not a company that needs much in the way of introduction. 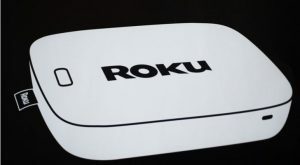 Although Apple (NASDAQ:AAPL) arguably pioneered and mainstreamed the idea with its Apple TV set-top receiver, Roku made streaming hardware affordable enough for the masses. Roku now leads the streaming receiver market, outselling Apple, the Fire TV device from Amazon.com (NASDAQ:AMZN) and Chromecast from Alphabet (NASDAQ:GOOGL, NASDAQ:GOOG). He’s not wrong. Roku is facing substantial competition, and still booking losses, any ROKU stock price is technically too high to justify. Even based on revenue though, its trailing price/sales ratio of 9.5 is well above that of similar names. But, since when did that matter? Roku is no slouch in the ad-supported video market, however. Its competitors are doing what they’re doing largely because they want to latch onto its coattails. Other competitors, meanwhile, aren’t actually competitors at all. Martin was also quick to say the post-downgrade plunge in the ROKU stock price last week was “overdone,” and a buying opportunity. Guggenheim’s Michael Morris agrees, upping the firm’s price target from $54 to $77 earlier in the month on the SVOD industry-wide “bring your own device” movement. Although Roku doesn’t monetize most of the traffic traveling through its own platform yet, it still offers users a “robust, attractive environment” that makes it an important centerpiece of consumers’ entertainment lives. And there’s the rub. The valuation-minded pessimists make sense. The concept-minded optimists make sense. That’s always the case with a young story stock that’s not yet become what it’s going to ultimately be. There will come a time when Roku has to completely justify its valuation with actual fiscal results. Investors, while often patient, won’t remain patient forever. We’re years away from that time for Roku though. In the meantime, it’s the the story that pushes shares higher or lower. That’s a good thing, certainly more good than bad. Even with competition mounting, investors love the idea of what Roku is. They love the idea of what Roku seems like it’s going to become. It’s an easy sell to anyone that likes to speculate on the convergence of technology and culture. It’s no secret there are plenty of those kinds of people all over the world right now. Roku stock is a story stock, plain and simple, and fully capable of shrugging off downgrades. Indeed, last week’s plunge following two simultaneous downgrades was stopped within a day, and shares have been climbing (albeit modestly) since then. Don’t stress the bearish calls if you own it. It’s just not yet a name that analysts can push or prod. The trading mob is still in charge, for better or worse. As of this writing, James Brumley held a long position in Alphabet. You can learn more about James at his site, jamesbrumley.com, or follow him on Twitter, at @jbrumley. Article printed from InvestorPlace Media, https://investorplace.com/2019/03/ignore-the-analysts-and-keep-trading-roku-stock-based-on-its-story/.